Cobi Bicycle – Bike your way to a zero waste future! Elena and Costel militate for the environment protection and ecological means of conveyance by making personalized bikes, adapted to the customer’s needs & wishes. 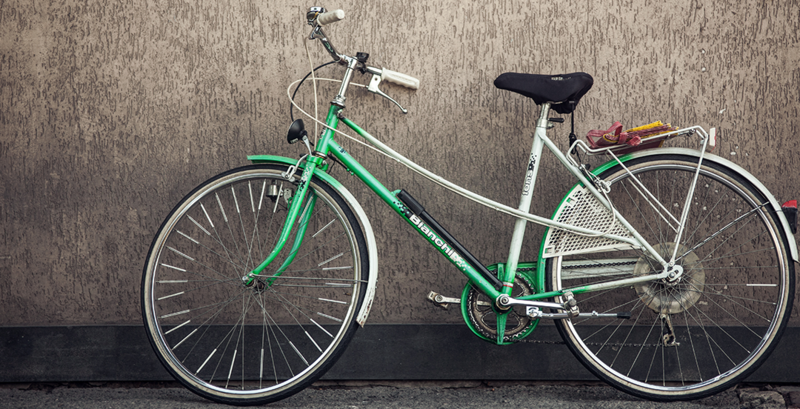 The sparkle of Cobi Bicycle came 5 years ago when me (Costel) and my father decided to make a spring cleaning. My father wanted to throw away his bike that was his comrade for 15 years towards his job. Waiting for someone to come for the stuff that we want to throw it away he started to tell me all the stories and the challenges that he had with the bike. In that moment I realized that his bike was more than a way to travel, it was a comrade so I decided to keep it and try to restore it. I had no idea of bicycle restoration back then. When trying to restore it I ” fell in love” with this old bicycle, and after that I realized that I can make a business of it. I can do something that I love and I want to do good for planet and people in process, so… COBI has been born. Both of us are a doing person, we want to do something that has an impact in our community. If we have the power to change something or to improve it we will certainly do that. We plan to reduce the waste to 0. We also want to encourage people to use bicycles more often. Elena Croitoru – I am 24 years old and I’m from Bucharest. I studied 3 years at the Economic University (ASE- Commerce and Tourism) and I was 3 years student at the Alternative University. I worked in tourism and HR since last year (may 2015) and now my time is dedicated to COBI Bicycle. Costel Iftime – I am 22 years old and I’m from Suceava. I started to study at ASE but quickly I realise that is not for me. I was looking for other learning context that ASE couldn’t provide me so I stopped going to classes and start building my own learning context. I started to learn by my self , last years I was part of the Incubator of Alternative University and I also learn about Lean Six Sigma – Green Belt level.